The Pink Pigeon is one of the rarest birds in the world and flies free in the skies of Mauritius, the tropical paradise of the Indian Ocean. The major shopping centres are the Caudhan Waterfront, Happy World House,Orchard Centre, Ruisseau Creole, Jumbo Phoenix and Jumbo Riche Terre. There is also a range of specialized shops and exciting markets offering a vast array of products at attractive prices. Mauritius manufacture clothes for export for brands such as Billabong, Cerrutti, Burberry as well as several other international high street brands. 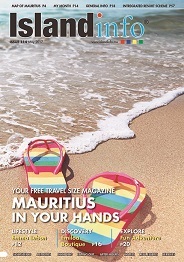 Duty free in Mauritius is competitively priced which explains the rise in shop numbers in line with the government's view of making the island a shopper’s paradise.The souvenir and handicraft products are of better quality and diversity than ever before, the most notable of all being the ship models.